Tables line the walls of a huge hotel meeting room. Fifty literary agents sit in alphabetical order behind the tables. Outside the door, there are two hundred of us lined up, awaiting entry into the hallowed chamber. We have paid for this opportunity. We have traveled from distant states and countries. We have written and scratched through and practiced and timed our presentations. We have researched the fifty agents inside, prioritizing and hedging our choices based on brief one-paragraph descriptions of what each agent wants to see. Any of the fifty inside could hold the future of one of the waiting hundreds in the palm of their hand, ready to transform the hopeful into a New York Times best-seller list author. This is the opening scene of a pitch slam. I feel lucky to be in the first of four pitch slam sessions at a fancy hotel in New York City. I stand with the others near the front of the line. This is my third time at this particular dog and pony show, so I know to show up early. I arrived almost an hour before starting time and still I am 22nd in line. Most of the writers outside are nervous. Will the agent tell them their work is not up to snuff? Tell them to go home and start over? Tell them they hope they have a day job because they will never make a living off their writing? Having been through this before, I know that agents are people, too. They will be nice, but they will be honest. (The other two times I attended this pitch slam I was pitching what is now my first novel, Madam May. I had seven of eight agents request sample chapters, and actually worked with one agent for several months. Things just didn’t pan out, and that’s when I went the print-on-demand self-publishing route.) This time I am pitching something completely different, a narrative non-fiction manuscript about schoolteachers. The writers also worry about timing. We have three minutes from the time we sit down in front of an agent until a bell indicates time is up. Can I convince this stranger my work will sell and makes tons of money for the both of us? I don’t worry too much. I have my pitch down to 80 seconds and know it well enough that I don’t really even need notes, but I have them in hand, just in case. What I do not want to happen is to get stuck in line while a loquacious agent or pitcher goes over their time. Every minute in the pitch slam is precious. I have targeted six agents whose profiles say they have an interest in narrative nonfiction, and I hope to make it to all of them and maybe a few others if there is time. The door opens, and the race is on. I make a beeline to my first choice and am thrilled to be first in line for him. I deliver the pitch. He is smiling! He likes it! He asks me to send a proposal! He asks my name again! He writes it down. I am brimming with happiness. What an encouraging start! Then he says he is going to google me! Uh-oh. He’s gone straight to my weak spot. All the experts advise that writers of non-fiction have strong platforms and an online presence that indicates their credibility to pontificate on their chosen topic. This is my dilemma. My online presence is devoted to my alter ego, GeorgiaJanet, and features my historical fiction novel, Madam May. I will have to work on my persona as Janet Hogan Chapman Ed.D if I want to publish this new narrative nonfiction. I go on to eight other agents, six of whom request a proposal. A proposal? I know what it is, but I don’t have it ready to send out. Looks like I will have a week of writing ahead of me when I get home. I leave the pitch slam satisfied with my results. Only time will tell if my proposal makes the cut and I am on the way to being a traditionally published author. Janet and Kim van Alkemade, author of Orphan #8. For this author, the pitch slam hour is the crowning jewel of the conference. Oh, there is plenty more to stir the writer’s inspiration. So much so that it can be overwhelming. Workshops for two and a half days cover a variety of topics, whether it is the craft of writing, the business of writing, genres, platforms, self-publishing, marketing, and so on. And all the times in-between are chock full of talking with and meeting new people, all of whom are here for the same experience. There are also well-known published authors presenting workshops and keynote speeches. 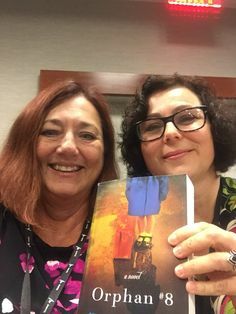 I meet Kim van Alkemade, the author of Orphan Number Eight, a book I reviewed right here on Readers Unbound. 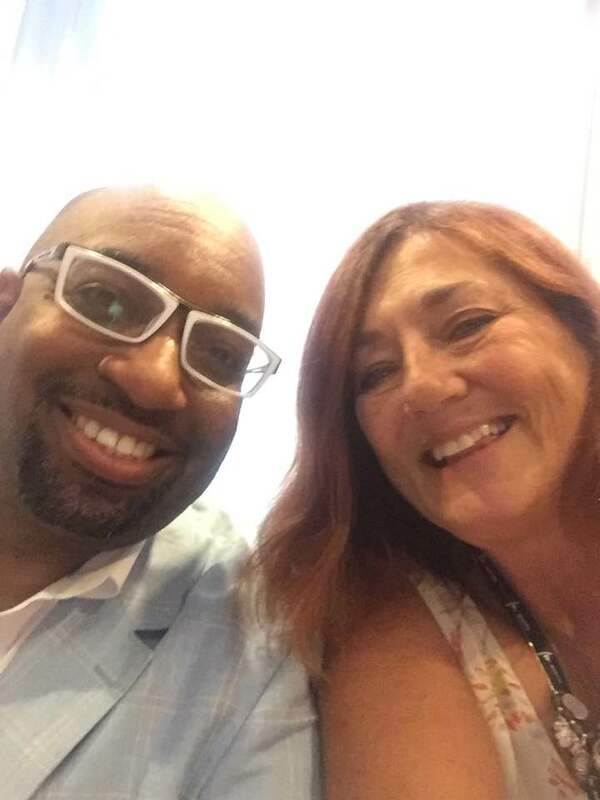 I meet, took a picture with, and have a book signed by Newberry Medal winning author Kwame Alexander. I hear a speech by David Baldacci that is both uplifting and amazingly funny! This is what a writer’s conference is like. It is inspiring, exhilarating and exhausting. It is a far cry from a writing retreat where one actually gets to write. It is also not a vacation – there is little free time for sightseeing or relaxing. I encourage aspiring authors to take advantage of the many options that exist today for getting your work published. Most writing conferences offer information on traditional publishing and opportunities to pitch agents like I did, but there were also informational workshops on non-traditional publishing routes. I also encourage readers to appreciate how good as well as not-so-good books get published. 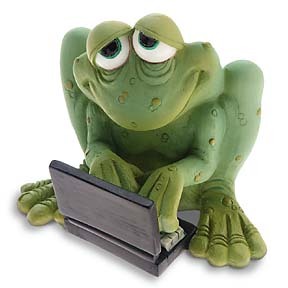 As the saying goes, you have to kiss a lot of frogs before you find the right prince. You want to kiss the right prince at the right time, and the same goes for authors trying to convince agents to represent their work. It is important to find the right one who believes in your work and will do his utmost to acquire a publisher. Timing, circumstances, talent, and the market all play a role in what makes it into print. If all the stars aligned and I kissed the right frog, maybe, just maybe, in a couple of years you will be reading a newly released narrative non-fiction about schoolteachers and recognize my name! Imagine yourself in Janet’s shoes at this conference. What would you find most interesting? Most nerve wracking? This entry was posted in The Writing Life and tagged Book Proposal, David Baldacci, GeorgiaJanet, How to Get a Literary Agent, Kim van Alkemade, Kwame Alexander, narrative nonfiction, Newberry Medal, Pitch Slam, Print-on-demand Self Publishing, Writer's Digest Conference 2016, Writers' Conferences, Writing Platform. Bookmark the permalink. Oh, the hurdles writers have to jump these days–the writing part being only the beginning! The pitch slam would definitely be the most nerve-wracking event for me. I am terrible at condensing my plot into such a short speech, and then having to say it would probably leave me stumbling over every sentence. Maybe I’ll hire you as a pitch coach! Chuck Sambuchino is the master pitching coach, and I’ve heard his presentation “Pitch Perfect” several times. Only time will tell if it worked for me! I would suggest anyone participating in a pitch event should look up his presentation. Thanks for sharing this enjoyable read. Of course it raises more questions than answers for this wanna-be. Am sure I’d enjoy workshops and author interviews wayyyy more than the pitch slam. Am quite dismayed to read that being a media queen (having a web page that shows your expertise in one particular area and not another) is necessary for an agent to take one seriously. 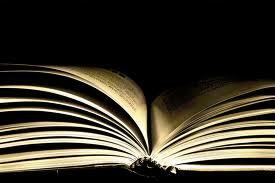 You are a good writer with experience in your field, as well as proper academic credentials. What’s not to like? Wish you the best in this pursuit. Eve, the platform/ online credentials are most important for writers of nonfiction because they show the agent that you are an expert in your field, that you have a base of potential readers to appeal to. Thank you Eve. If I have no responses to the proposals I’ve sent out, I see another self published work in my future. Thank you for this, Janet. I’ve wanted to learn more about pitch slams since first hearing about them. Can’t imagine participating, but have been curious about how they work. Good to know. Thanks Deb. 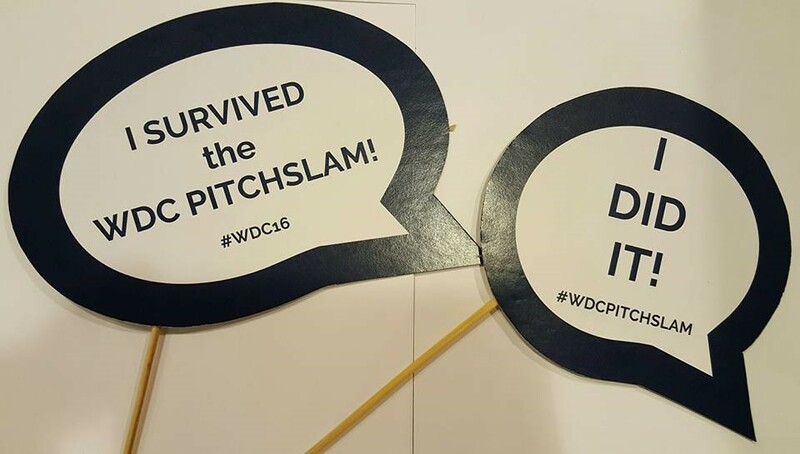 This was a true “Pitch Slam” but there are other opportunities to “pitch” on a smaller scale, with one or just a few agents at local writer’s events. Give it a try!